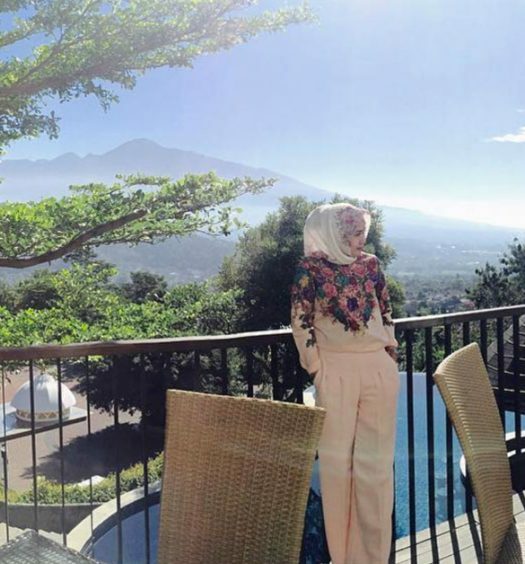 Have you already seen what there is to see in Malang? Think again! 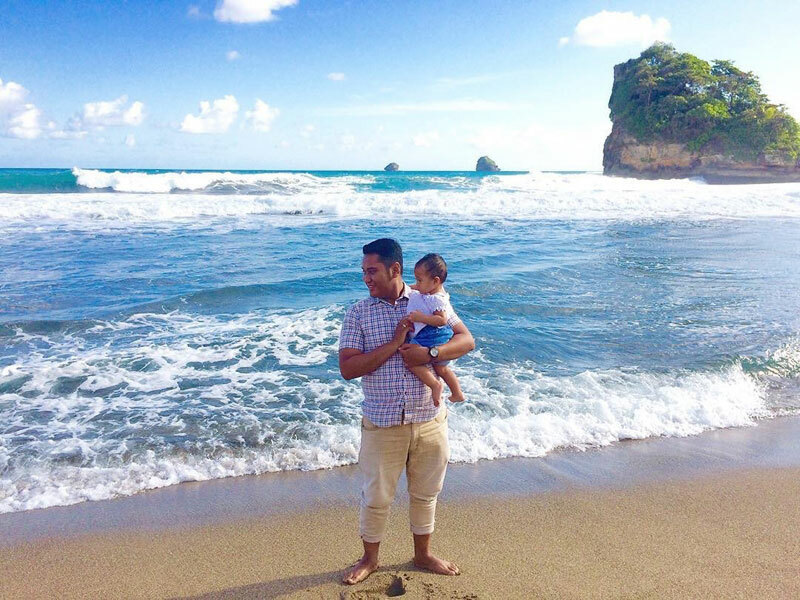 A lot of us get easily attached to this beautiful city – the mild climate, the mountains in the horizon – and yes, the absolutely stunning beaches. It’s all so easy to fall in love with. But if you’ve already visited the volcanoes, and explored the temples and parks here, maybe it’s time to dig deeper. 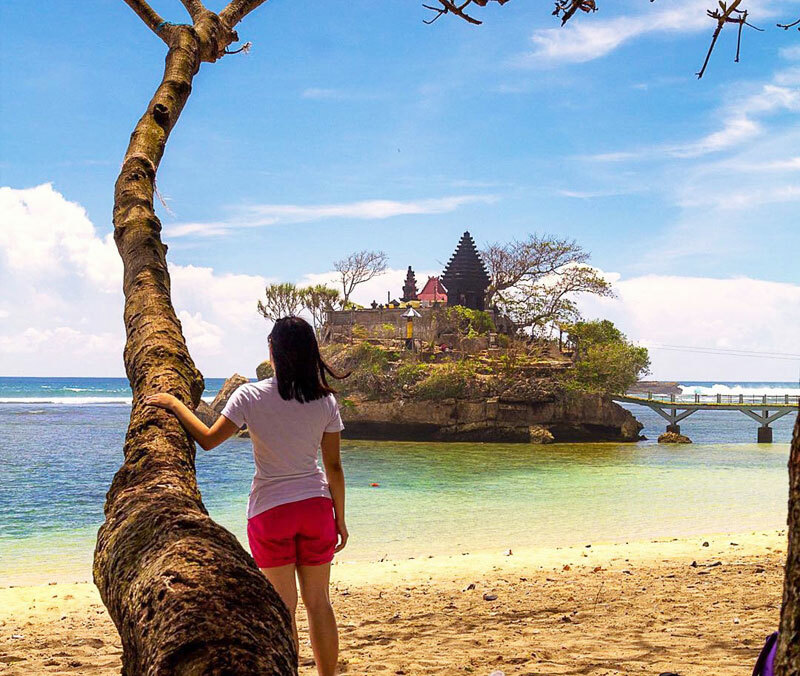 You just might discover that the “Paris of East Java” has more to its charm and some awe-inspiring hidden beaches the list of which seem to be never-ending. That’s right the love affair with Malang, just grows deeper for us. 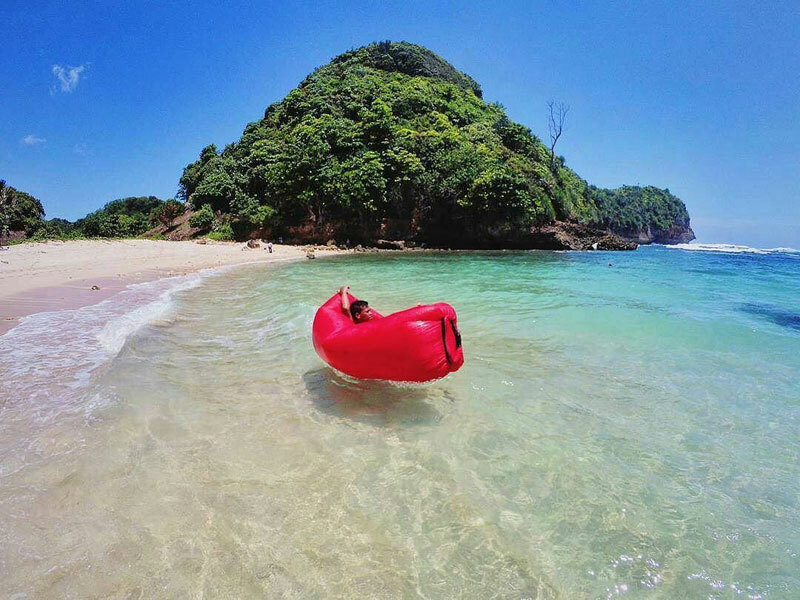 So, we decided to do the hard work, and bring to you the most unusual and interesting beaches in the city – which are out of ordinary and certainly not on everybody’s radar. 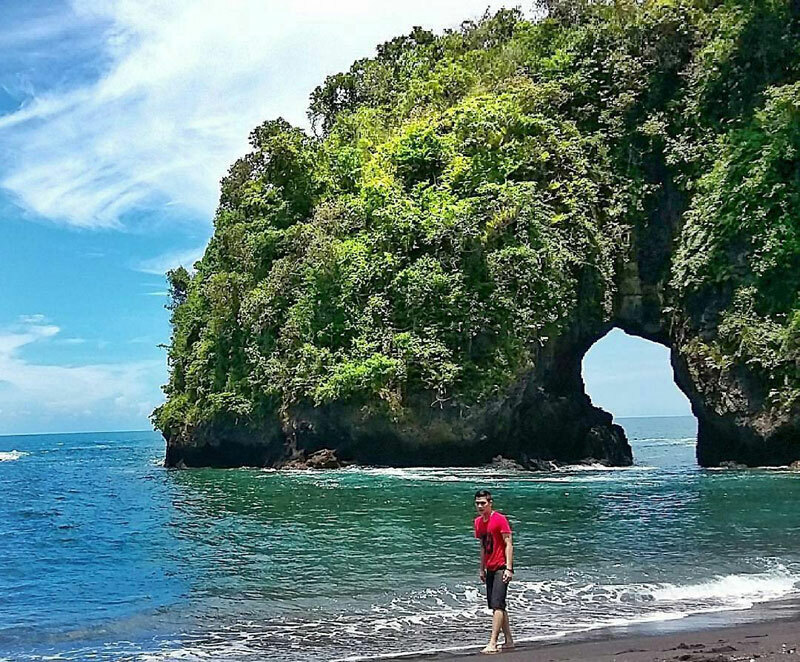 These are the beaches that are the best kept secrets of the locals in Malang, and have been unknown to travellers for a long long time. 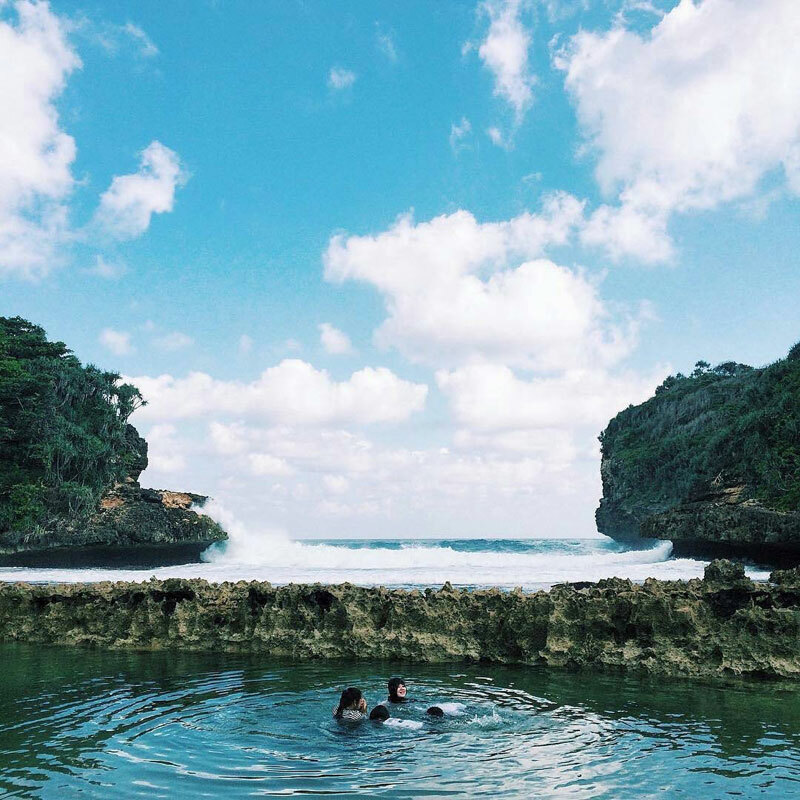 But, if you have the adventure bug in you, and the desire to uncover some attractive secret beaches, dive into your next destination in the beautiful city of Malang! Yes, you can never go wrong with black! Especially when we are talking about smooth stretches of shining black sand against the pearly white waters of the sea. 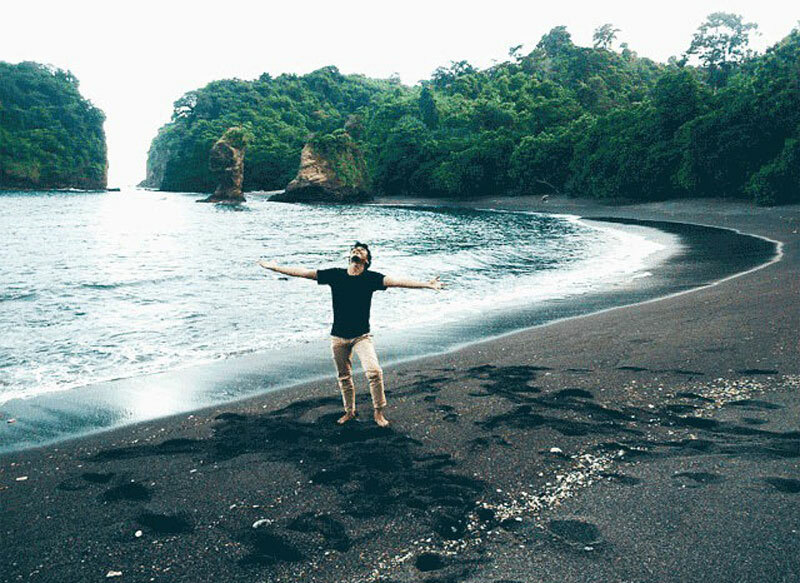 Quite aptly called the “black pearl of Malang”, Pantai Licin is a black sand beach that resulted from Mount Semeru’s volcanic activity. Do watch your step here as the beach is named “Licin” or “Slick” thanks to the moss growing around it, making it quite slippery to walk on. Though we think a little slippery fun wouldn’t hurt much, and can add to the playful beach mood – do make sure to be careful! A long winding road will lead you to the beach that you can travel on via a motorbike. However, for the tough and twisty stretch, taking along your toughest motorbike is only recommended. The good news is, the roads might be developed for better in near future, making the beach more accessible. Getting there: Follow the road to Malang to Dampit. Head to Ampel Gading, turn at Sumerejo and continue on towards Lebakharjo. 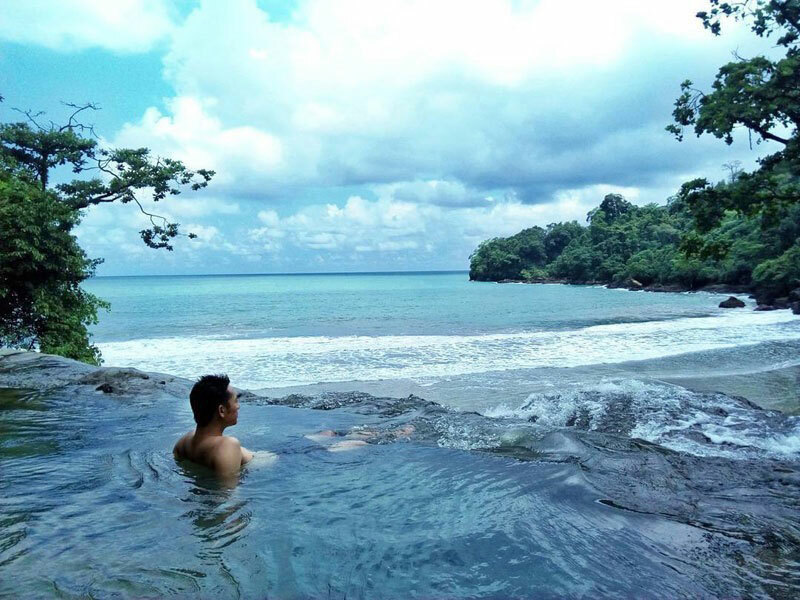 Indulge in nature at its best in the calming waters of the natural pool. 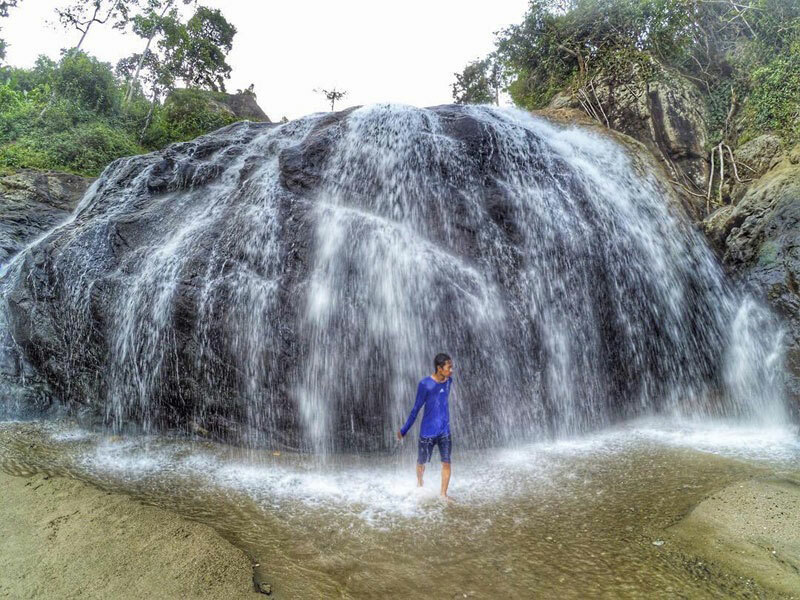 Dive in and out of a waterfall, and feast your eyes on a mesmerising sunset. The beach is so extraordinary and exclusive, it might just be one of the best discoveries you’ll make in your lifetime. Have your very own Columbus moment when you set foot here, and let your social media following go berserk! Like they say, “the best things come to those who try hard”, the path to get here can be a bit tricky depending on which option you choose to get there. 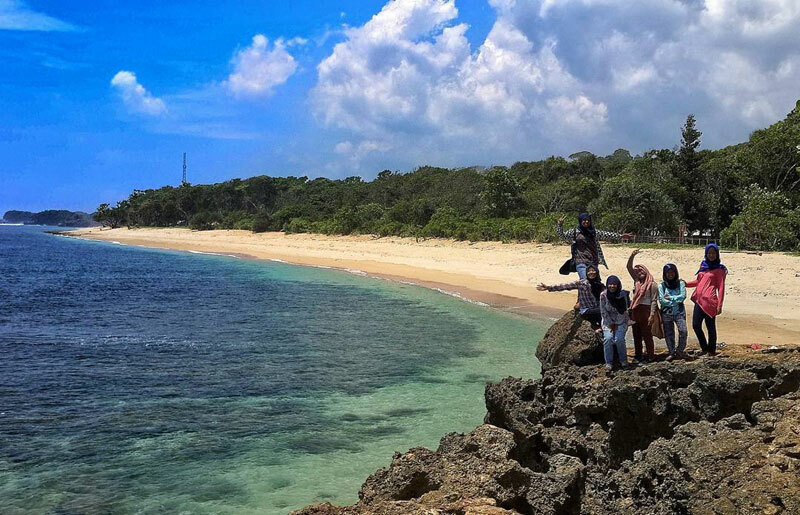 Getting there: From the Lenggoksono beach, trek 2-3 hours over to the Pantai Banyu Anjlok. Alternatively, one can reserve a boat to crossover to the beach. 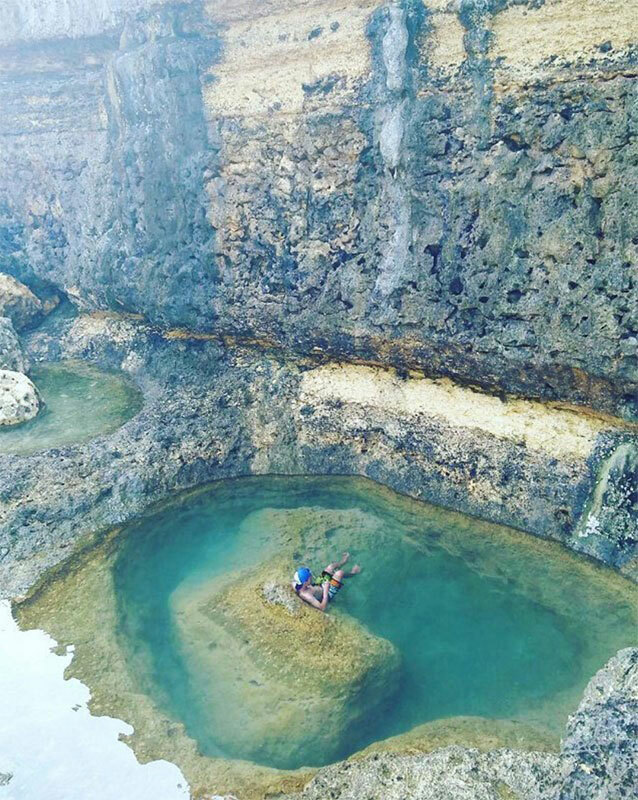 Get a little more intimate with nature with your very own private jacuzzi on a beach. Nope, it’s not the kind of jacuzzi you might be imagining right now! 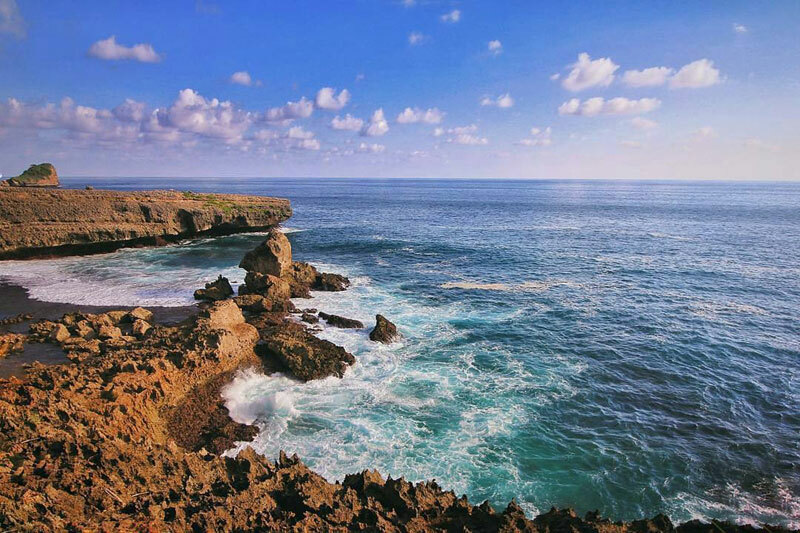 Instead, this beautiful rocky beach on the south coast of Malang transforms into an area of small natural saltwater pools at high tide. 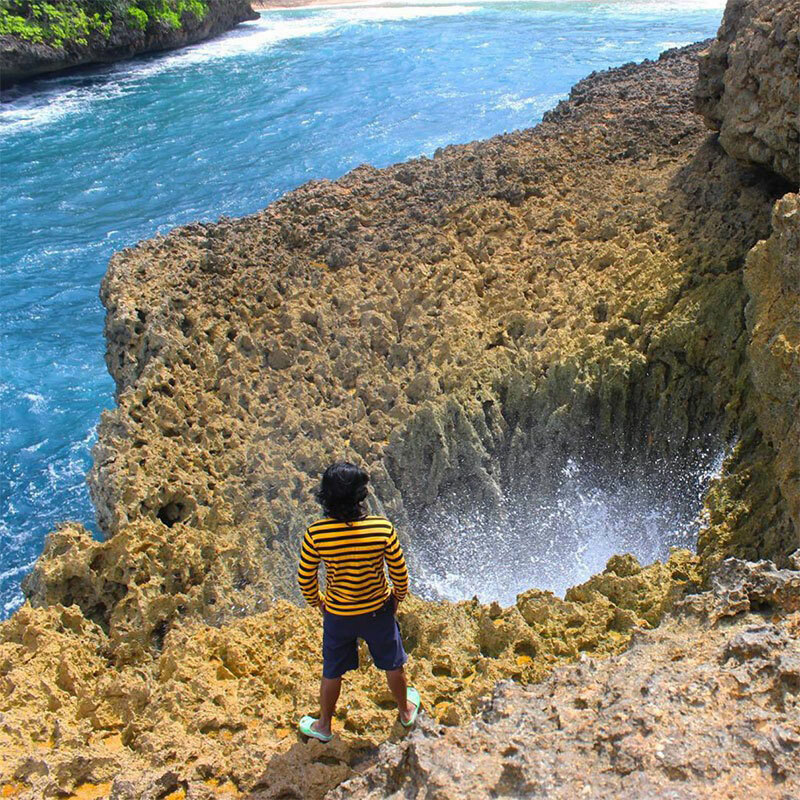 While one might be treated to the magnificent crashing waves of the Indian ocean here – the unusual beach is especially attractive when the sea water floods over the coral barricades and fills the basins turning them into natural pools. 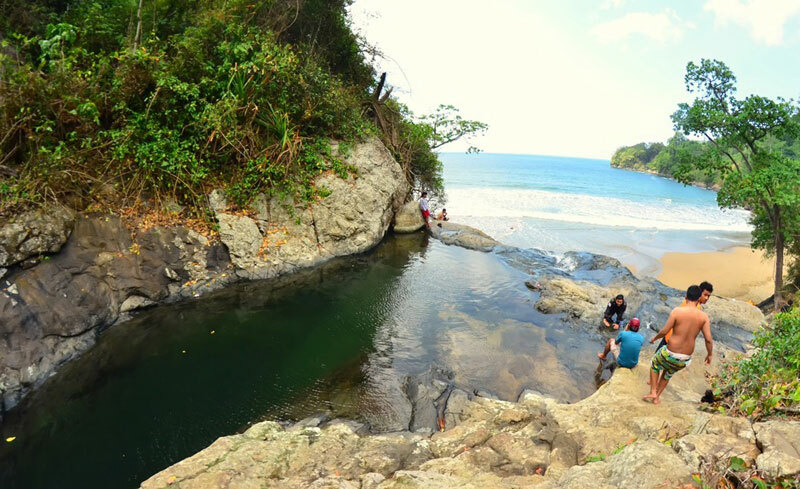 This is also a good time to swim in these pools, as the sea can be get pretty rough and unsuitable for swimming. The beach also has the most stunning sunset views one could hope for. 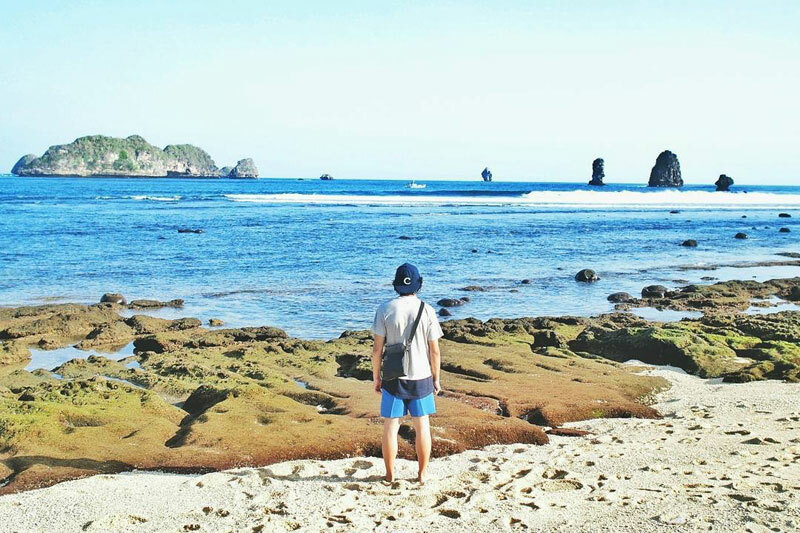 The west-facing beach gets drowned in golden rays of the sun at sunset hours – and light doused black rocks becomes an unforgettable spectacle to all visitors who camp at the beach to catch the scenery. 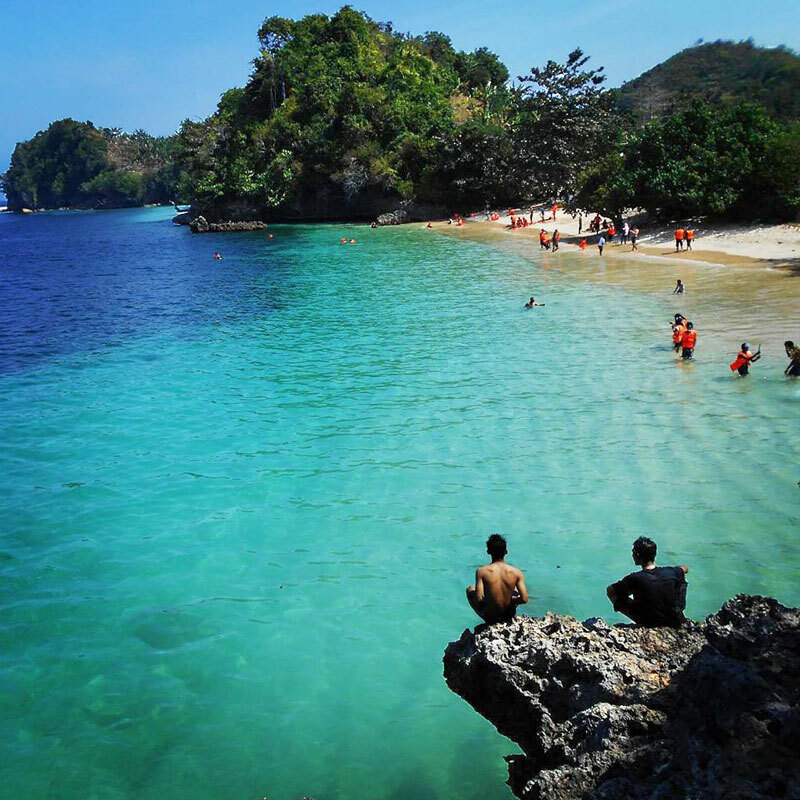 Getting there: The beach is about a 2-3 hours ride away from Malang. 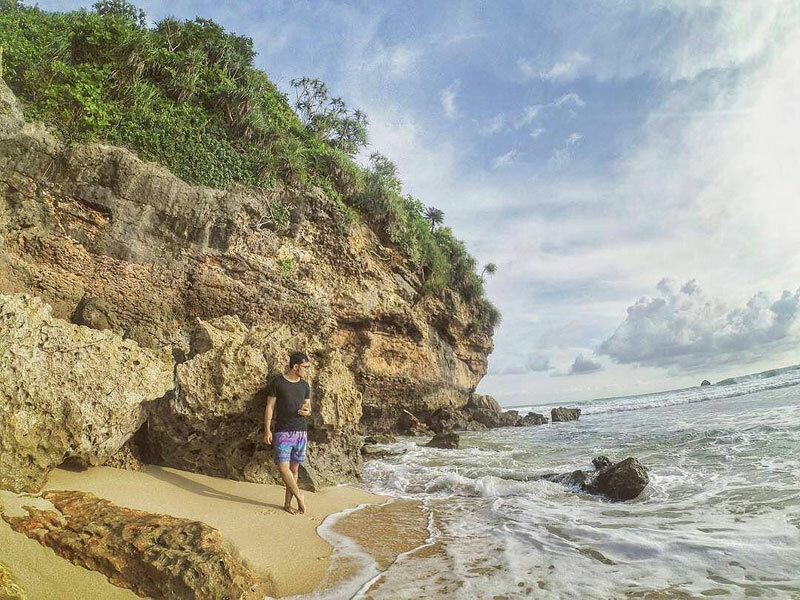 Follow the directions to beach Sendangbiru but turn towards Goa Cina beach and beach Bajulmati. 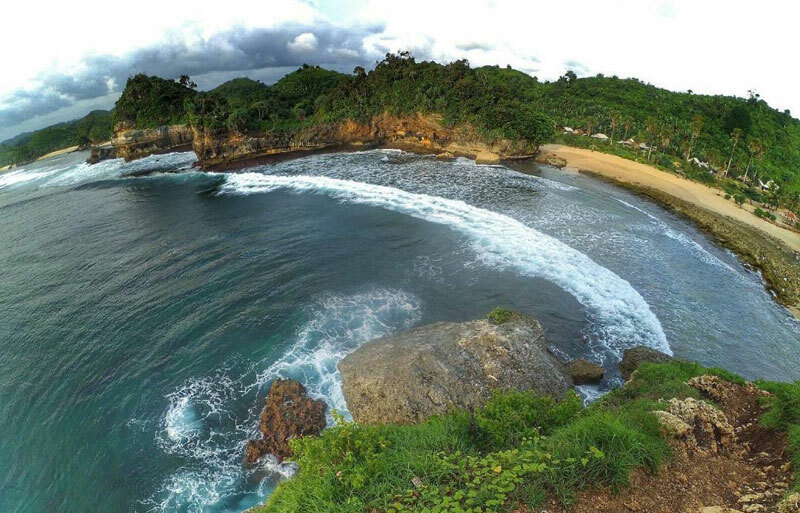 Pantai Batu Bengkung is about 2kms from beach Bajulmati. Who says you need to go for a swim to soak in the sea water? 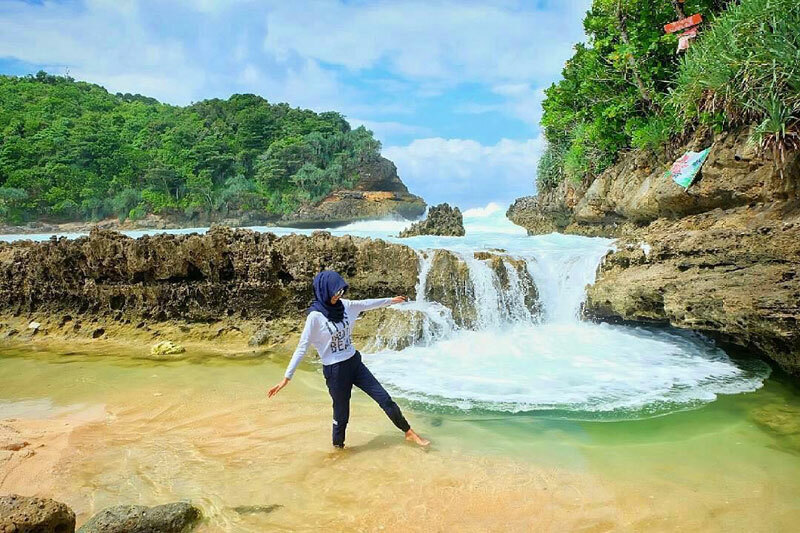 At Pantai Jonggring Saloko, the sea water comes to you! Experience a refreshing splash of sea water spray at this unconventional beach! 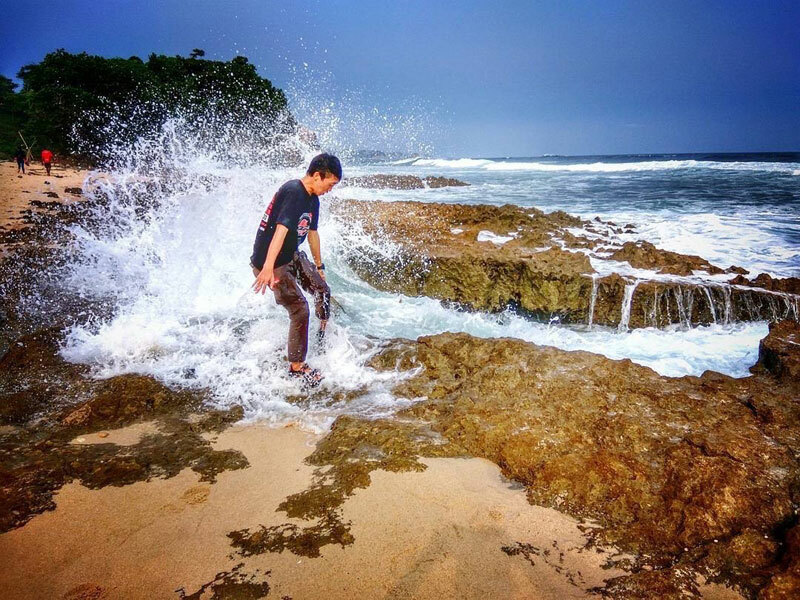 When the waves hit the sea cliffs, the water is sprayed across the shore in its foamy glory and bubbly delight! Hear the ocean call out to you, with a “brooosh” sound of short water bursts. It’s definitely not something you can come across at every other beach. 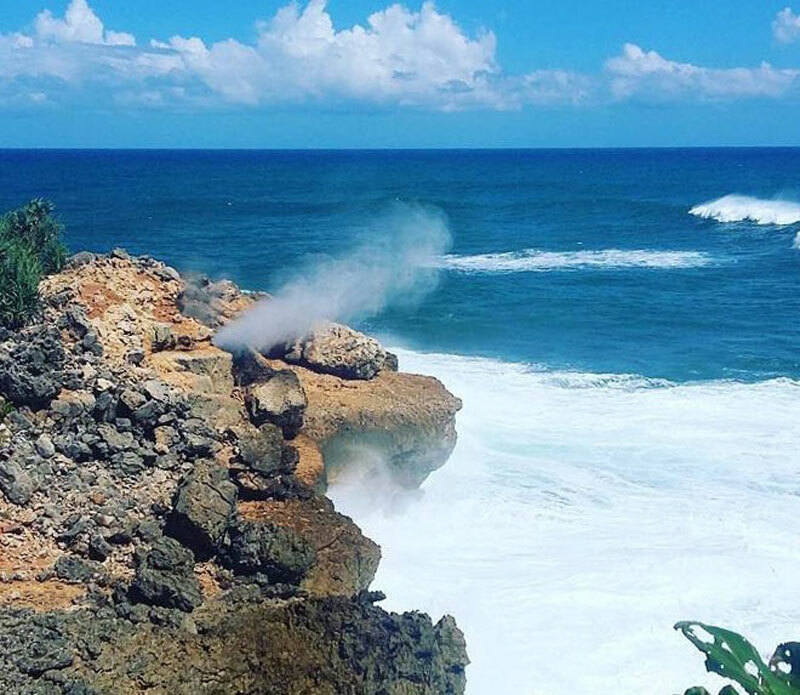 If you climb up to a higher cliff – you can enjoy the spectacle of the water forming a “white umbrella” of foam each time it hits the cliffs. If offbeat experiences such as this, are your cup of tea, don’t let the tough access deter you. 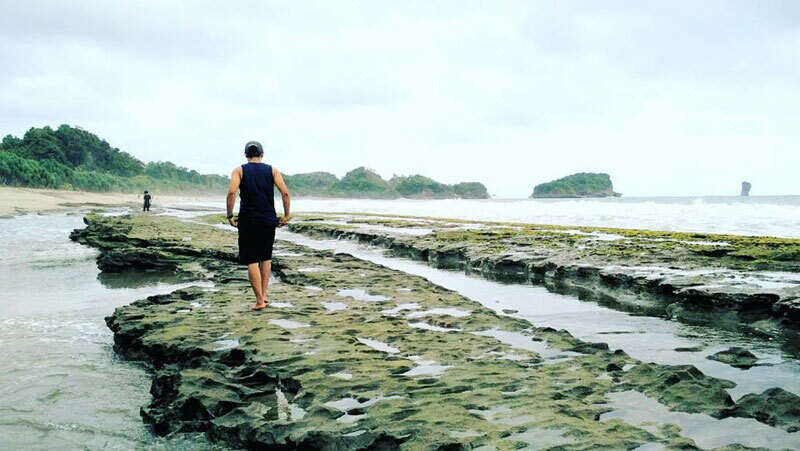 One must overcome a rock strewn path to get here – but you’ll be immensely rewarded for that and have the entire beach all to yourself complete with its stunning views and clear waters. Getting there: Follow directions to Kepang Pagak Pentai and then to Donomulyo, turn left from the T-Junction. You know that feeling of being on the moon? 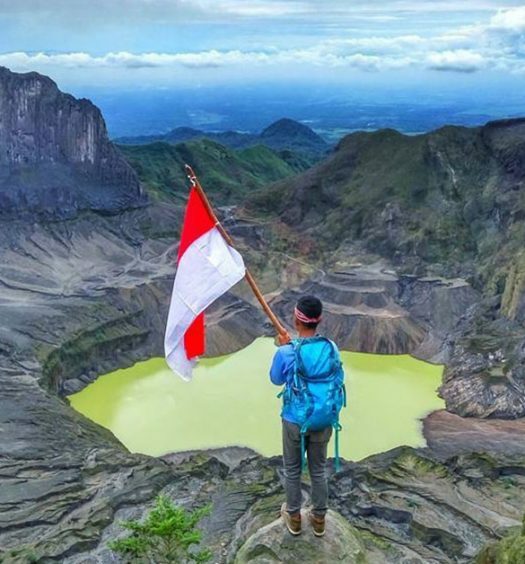 Well, in Malang, this is the closest you can get to actually feeling like you’re on the moon! 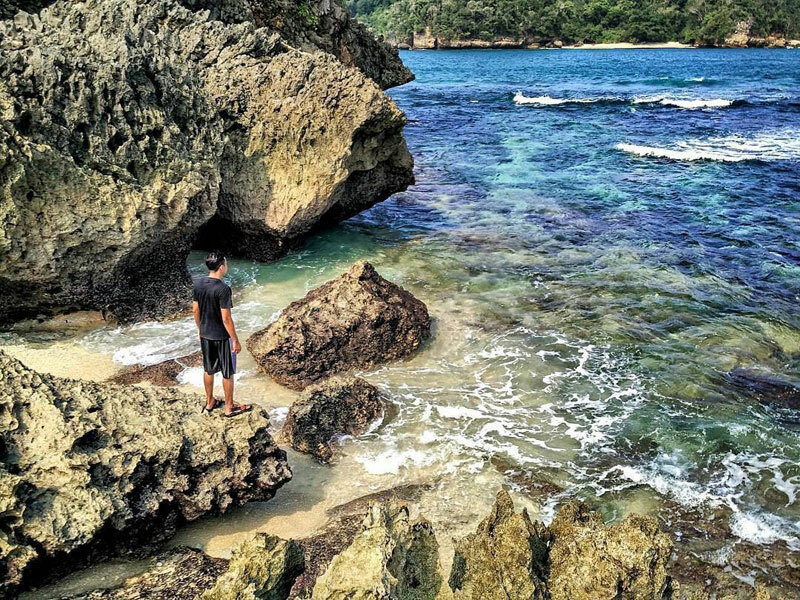 Pantai Mbehi can put all the other pretty beaches to shame with its turquoise waters, white sands and beautiful protected forests that it’s located beyond. 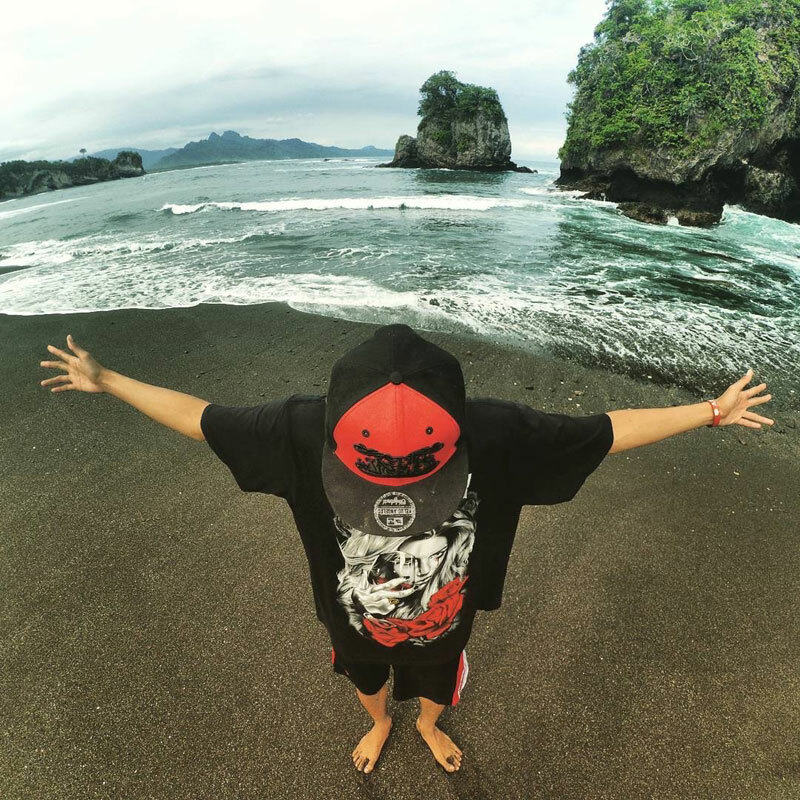 The reason you should go to the beach is the rare natural phenomenon that the beach holds. 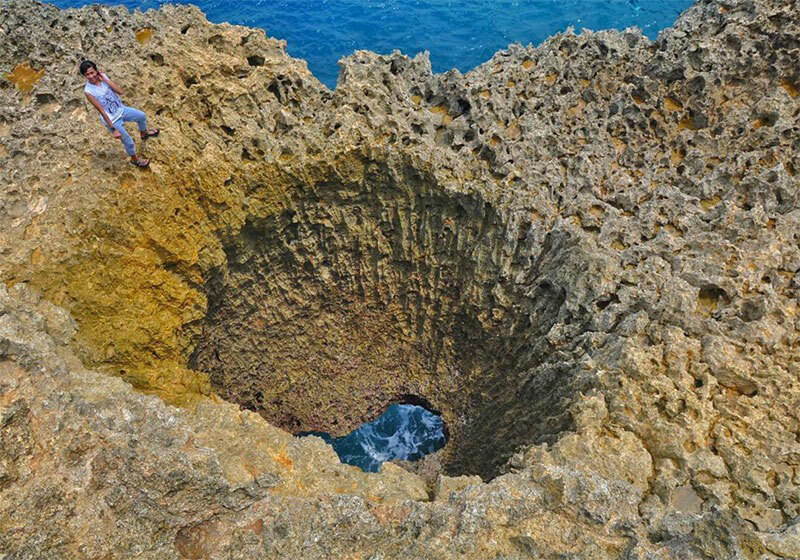 Firstly, prepare to be startled by this special “crater” with a hole in the middle, that gives an impression of a giant coral opening into the sea. During the bigger waves, the water rises through the hole with a roaring sound of a rampaging dragon, and a wondrous spectacle of water spurts. Secondly, not far from the crater, one can come across the Gulf of Angels – a niche in the rocks that forms a shallow natural pool. A great spot to soak in, against the backdrop of the great Indian Ocean and mesmerising views. 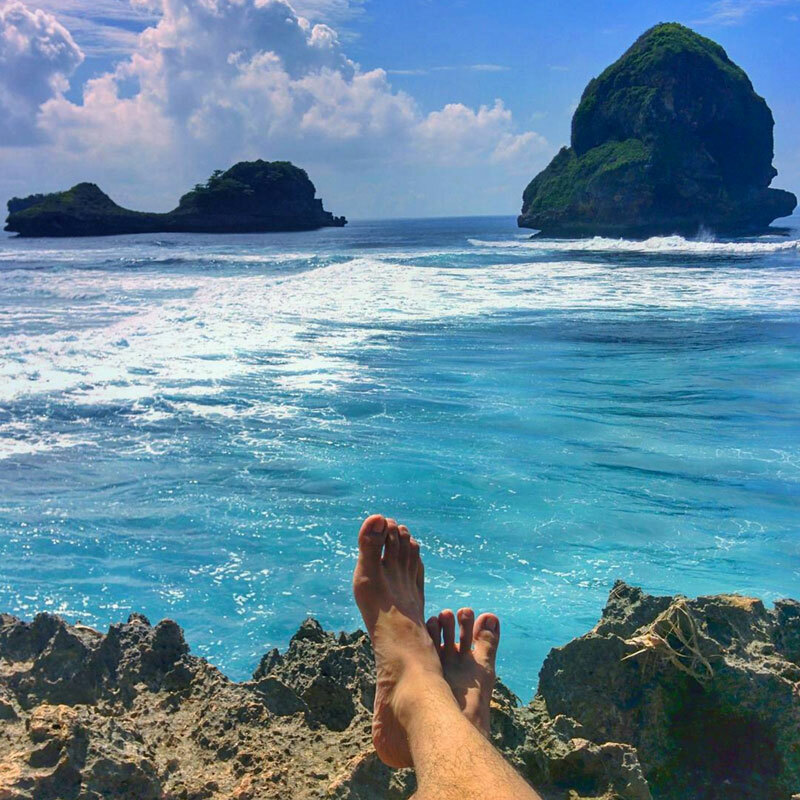 These are reasons enough for anyone to embark on a journey to discover this beach, even though it’s certainly not an easy ride. Seriously, what can be more epic? Getting there: From Malang center, head south towards the Kondang Merak Beach. 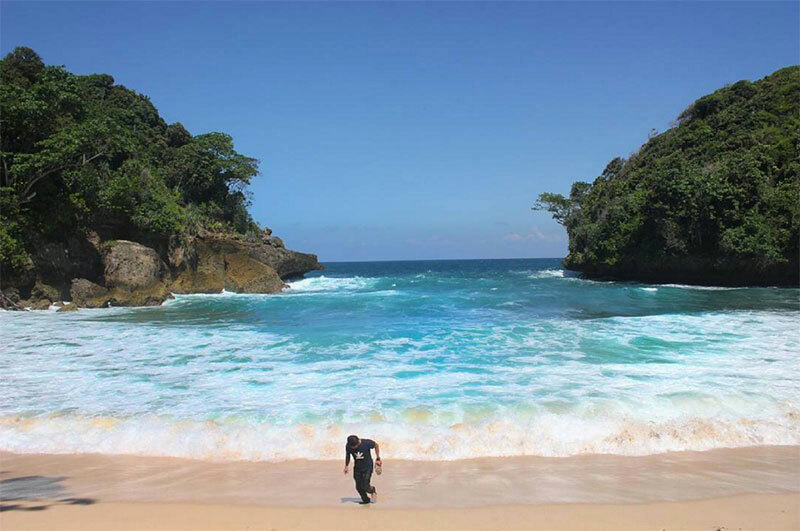 Pantai Mbehi is approximately 3km from Kondang Merak Beach. Feel free to check with the locals for directions there. 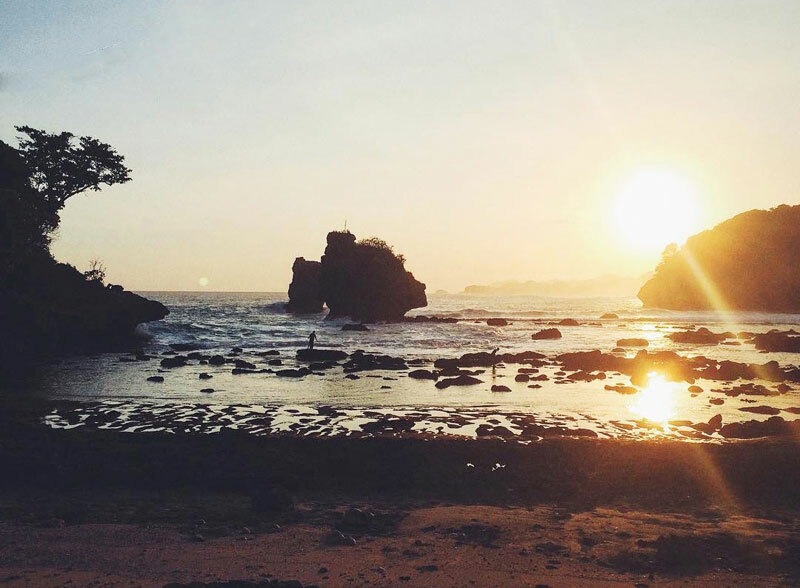 We’ll let you in on this secret – Pantai Bantol (or Bantol Beach). 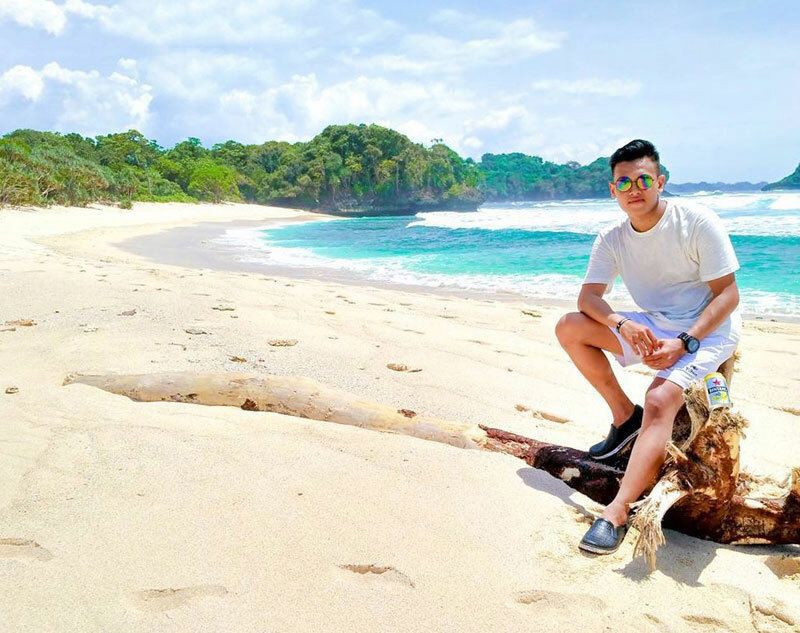 This beach is virgin and still void of tourists – but the bigger surprise might be how the beach has somehow evaded the limelight considering how beautiful it is. Only a handful of locals, fisherman and hobby groups seem to know of its existence! 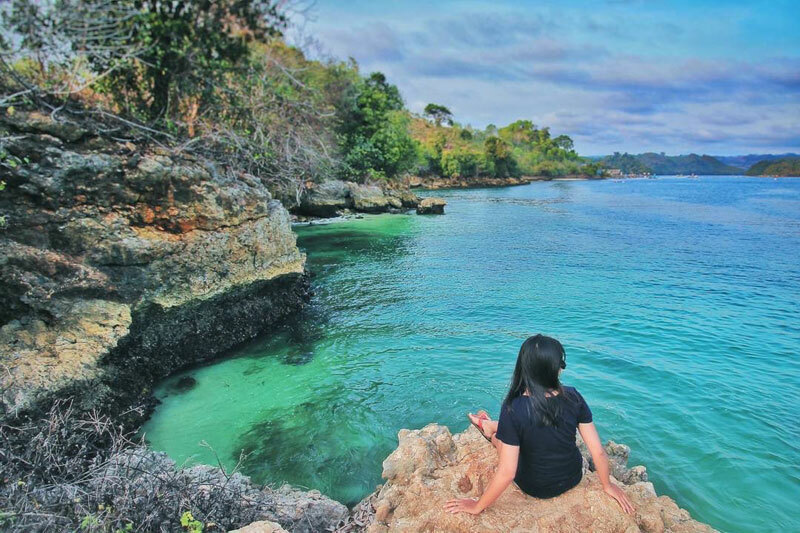 While it’s technically a bay, Pantai Bantol has the kind of exotic allure that you don’t come across everyday – with its calm clear waters with colorful coral clusters visible underneath. If you’re lucky enough to be there at the right month, you just might be able to witness the most beautiful sunset in your lifetime. The sun slowly making its descent behind gorgeous reefs jutting out into the sea. Love marine life? You’re in luck! You can meet three unique kinds of lobsters here – the flower, leopard and tiger! The nature lover in you will get even more excited with exploring the lush green forests in a lake just off the beach. Apart from that, there are also limestone caves you can discover around the teak forests. 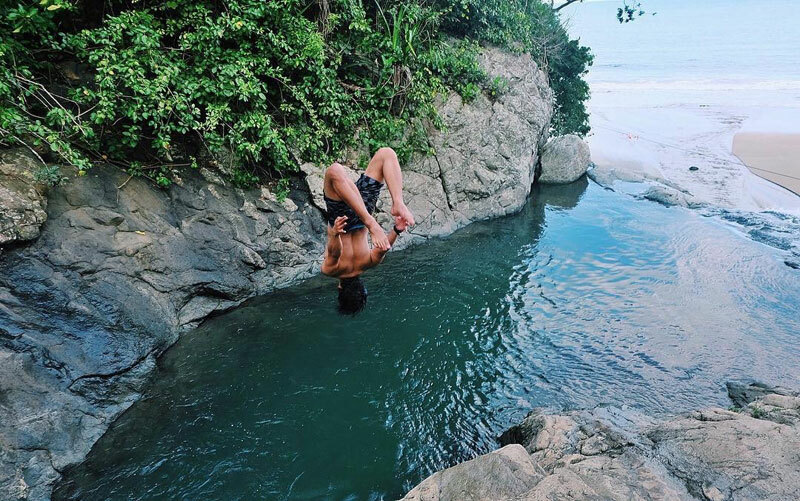 Feel free to let your inner adventurer loose! 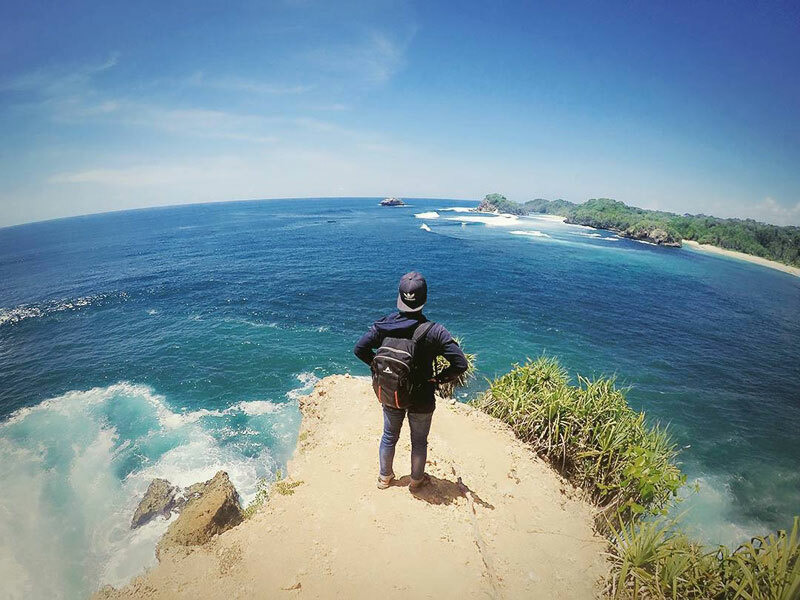 Pantai Goa Cina (or Chinese Cave Beach) might be all the rage, but Pantai Watu Leter might be even better. Especially if you are one who’d like to avoid the crowds, and enjoy the peace and calm of a secluded beach – this one’s for you! 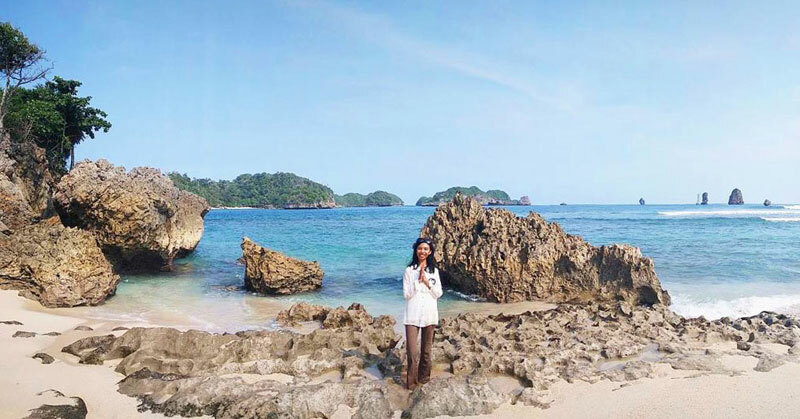 The beach looks very similar to Goa Cina, but this one’s the quieter twin of the two. 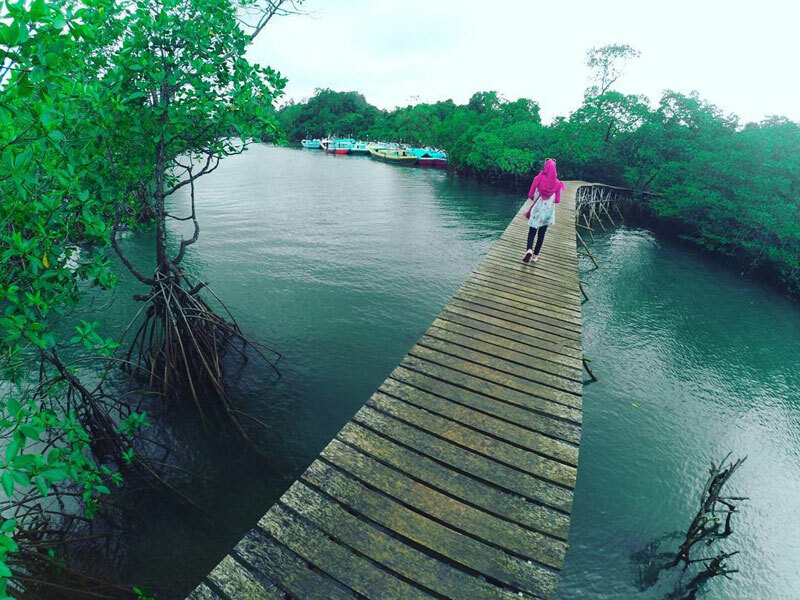 Perhaps it’s the mangroves that deters cars from entering the beach that has diverted tourists’ attention from it. All the hard work of making your way here will be well worth the gorgeous serenity of the place, the cool, calm waters and the soft breeze on your skin. 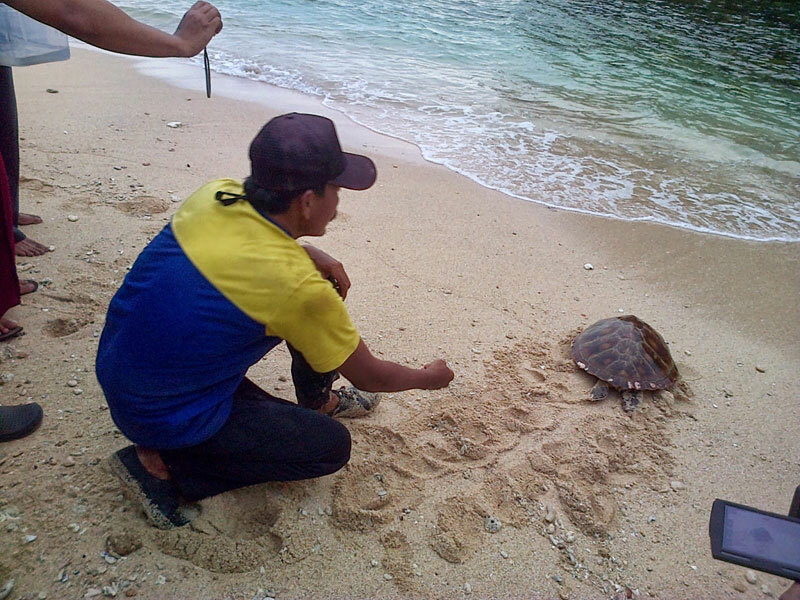 Especially if you are a marine life lover and would like to meet little turtles, you must find your way to Watu Leter. The beach has been used as a place for turtle conservation and a landing place for them to lay eggs. Something worth putting in that bucket list, right? 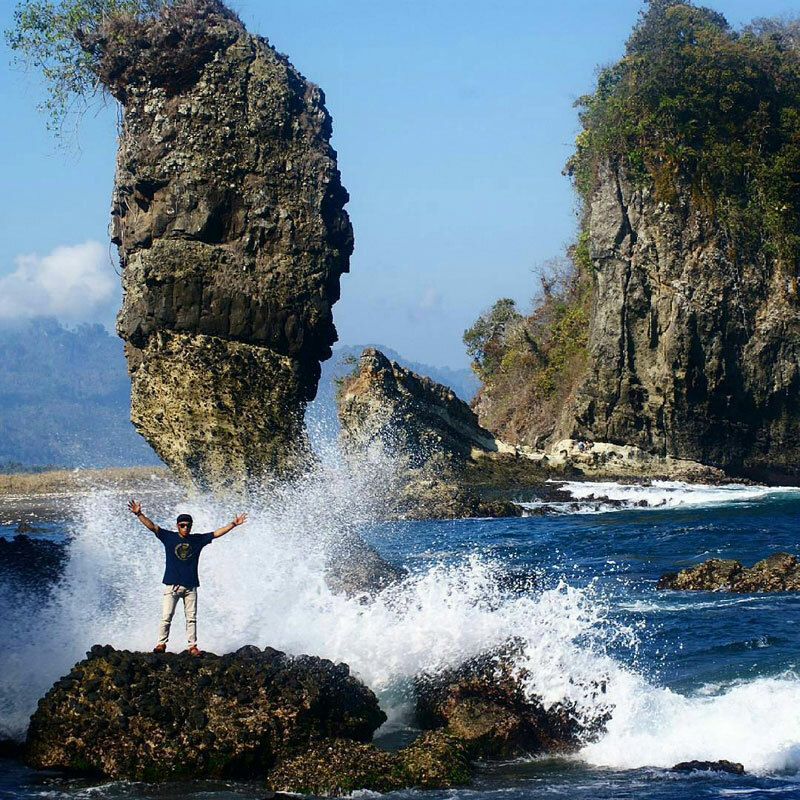 Don’t forget to check out the unique stone formations from which the beach actually derives its name – one of these is even shaped like an actual Indonesian letter! Let your mind be blown with the ultimate jungle safari, right here in the heart of Malang! 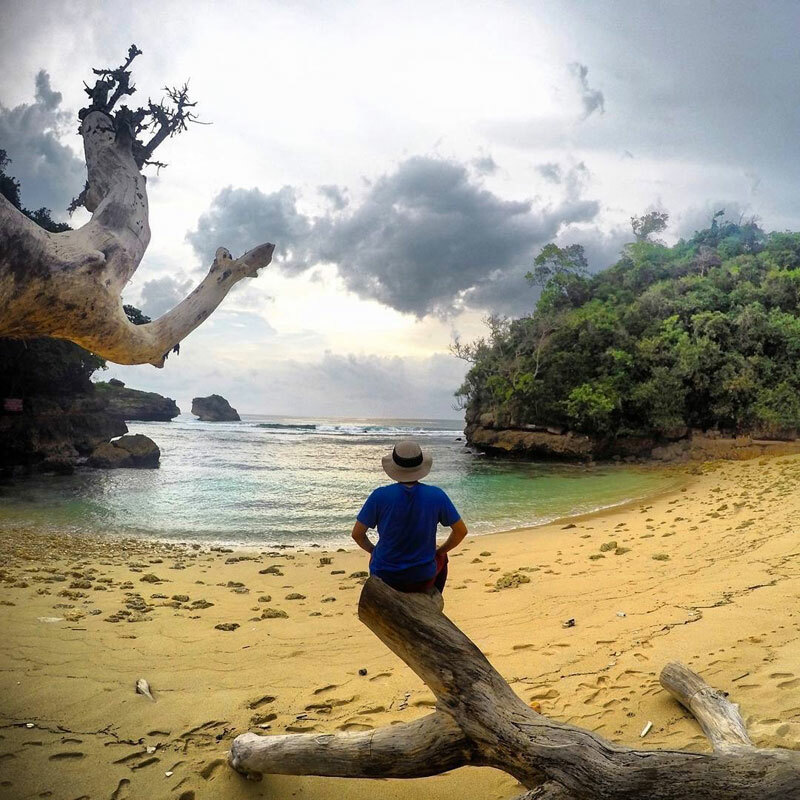 Pantai Kondang Buntung is nothing like the beaches you’ve seen before. It will surprise you with its lush green surroundings, and it’s dense jungles reminiscent of the Amazon. 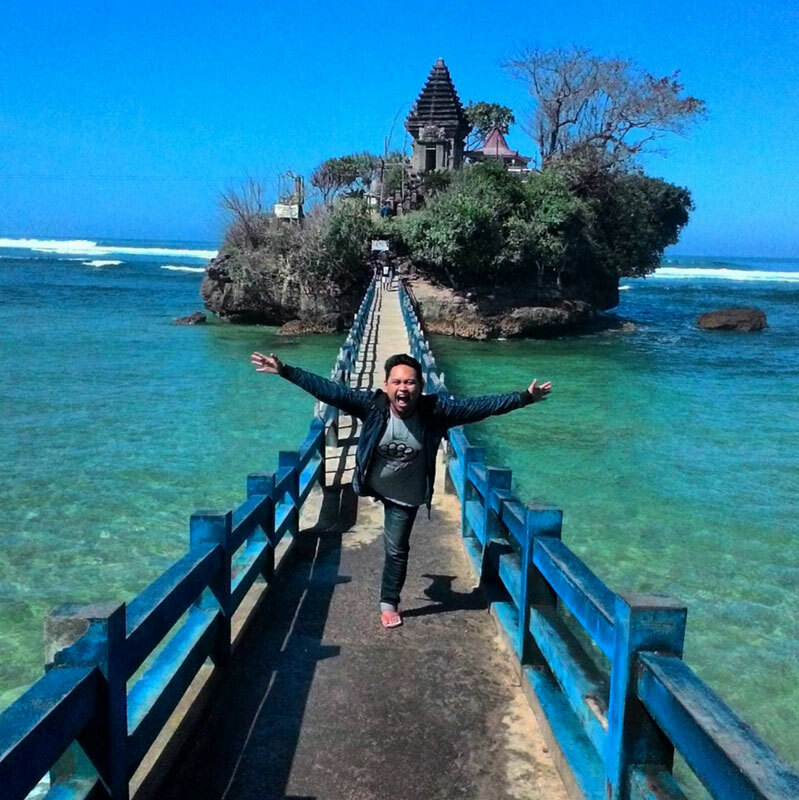 The entrance to the beach is same as that of Bale Kambang which is about 5000 meters away. 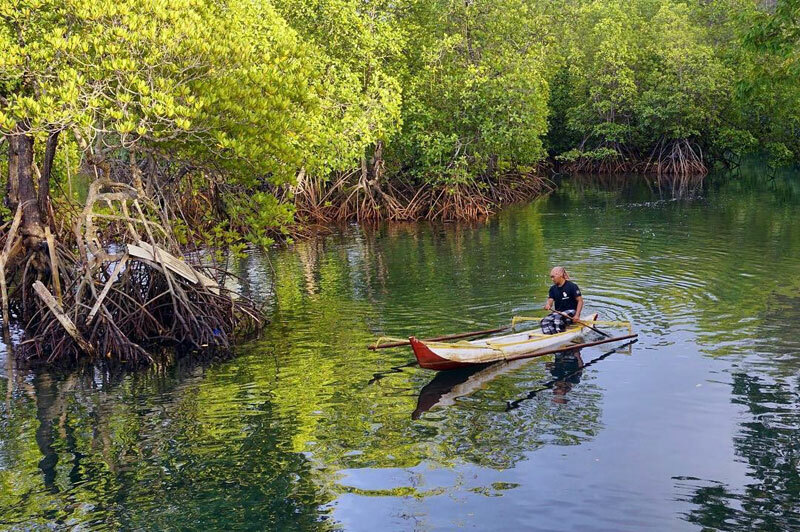 The overarching green trees, and the soothing waters is enough reason to go, but as a bonus you get to ride a canoe here! That’s right, it’s just like you’ve landed yourself in some river in a deep African jungle. 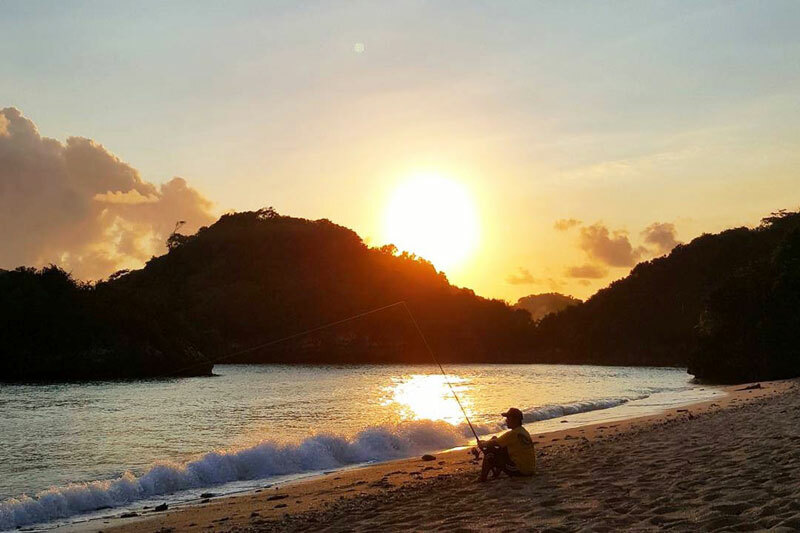 The canoe ride will set you back by a Rp.25,000, but the breathtaking scenery guarantees that it is one experience you simply cannot afford to miss if you are beach-hopping in Malang! Why? Because it’s all about rocks and plenty of leisure time! 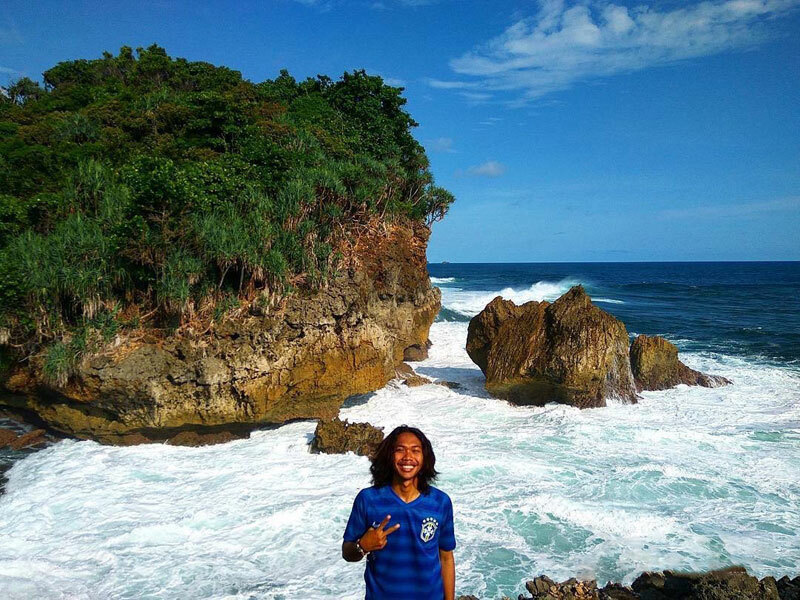 Close to Sedang Biru, yet another hidden gem of Malang is Pantai Watu Pecah (or Broken Stone Beach). Interesting and unusual stone structures line the shoreline here. Some might say the stones seem as if they were smashed by the waves – the reason that led locals to naming it Broken Stone Beach! 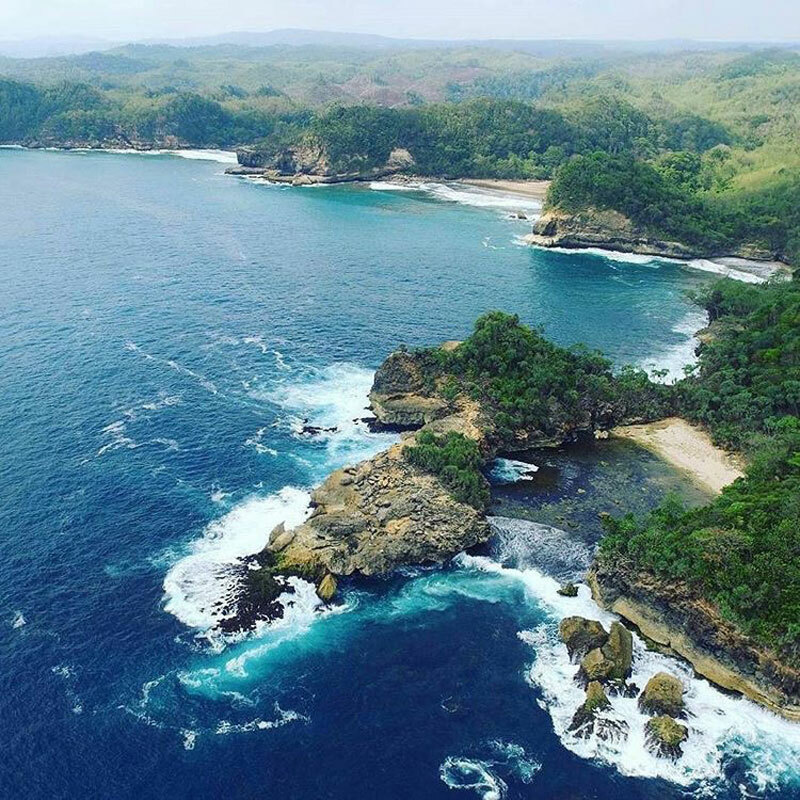 One needs to cross over Clungup beach to access Pantai Watu Pecah, which forms the entrance to the beach. 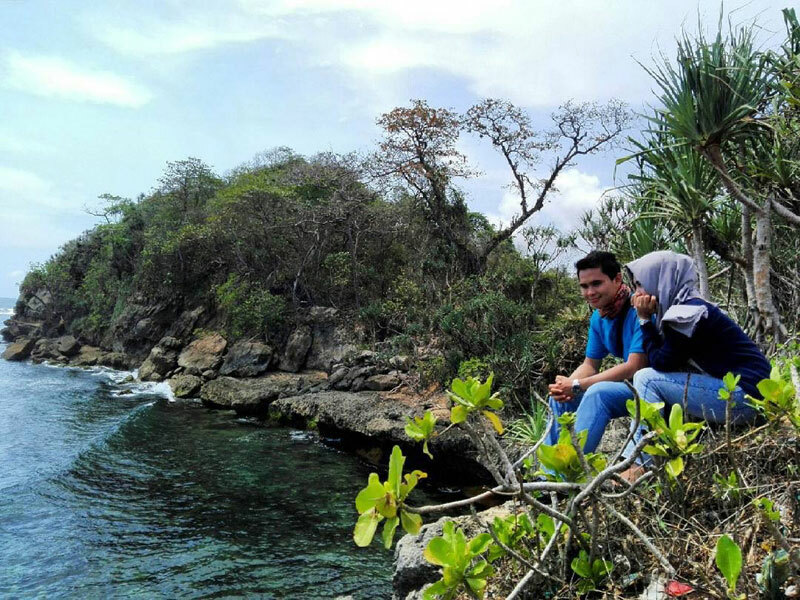 Once here one can revel in the views of the beautiful blue waters, or just idle your time away till sunset – which is also exceptionally beautiful behind the stone structures. The recluse in you will definitely enjoy spending some quality time here! 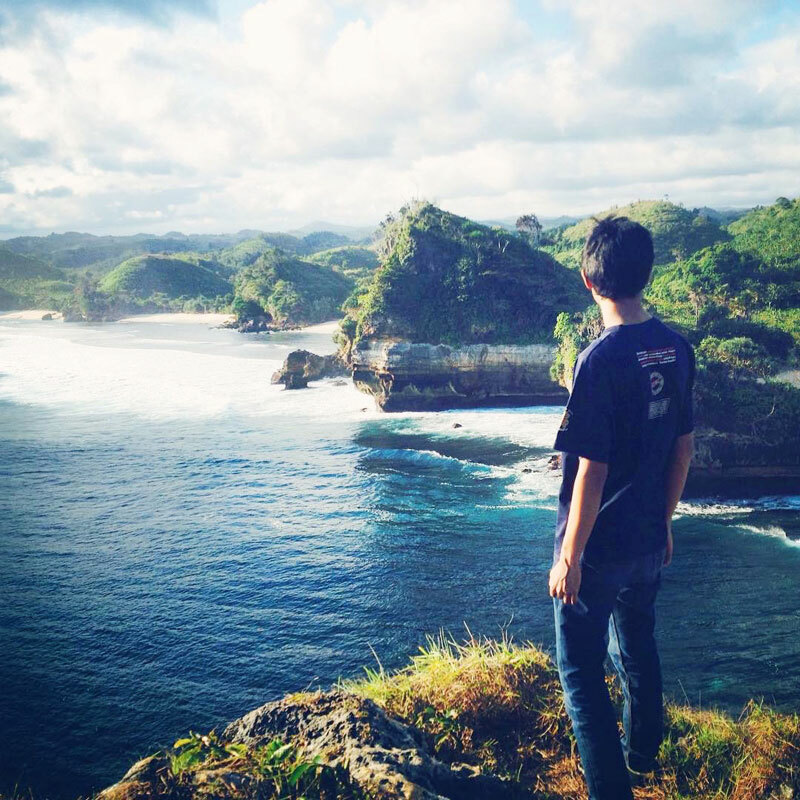 Getting there: Follow the route from Malang to Bululawang, Turen. 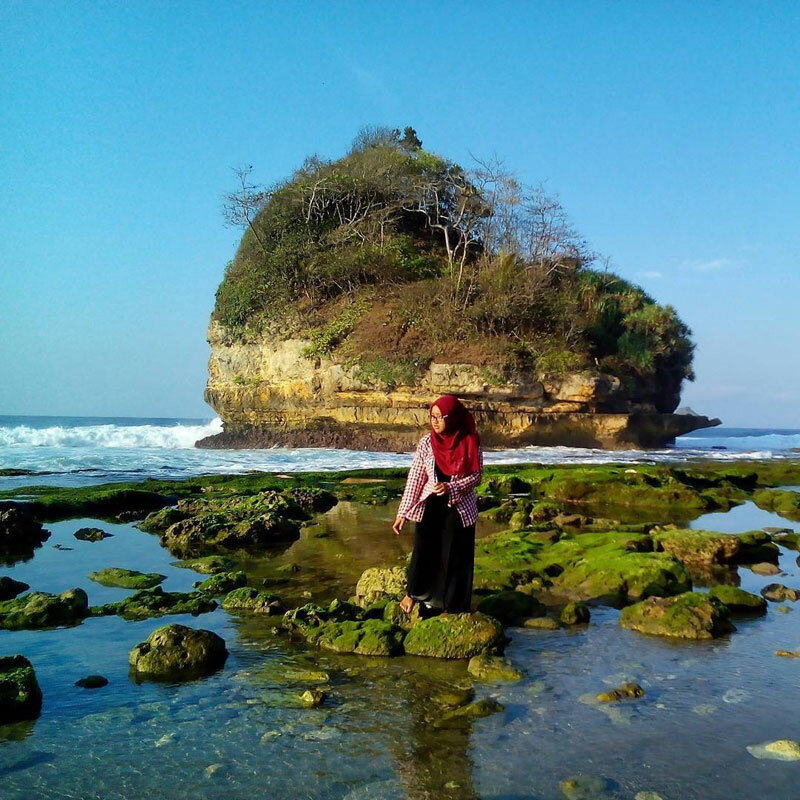 The beach is at a distance of 2.5 hours from Sumber Manjing Wetan, plus 1 hour of trekking through Clungup Beach. 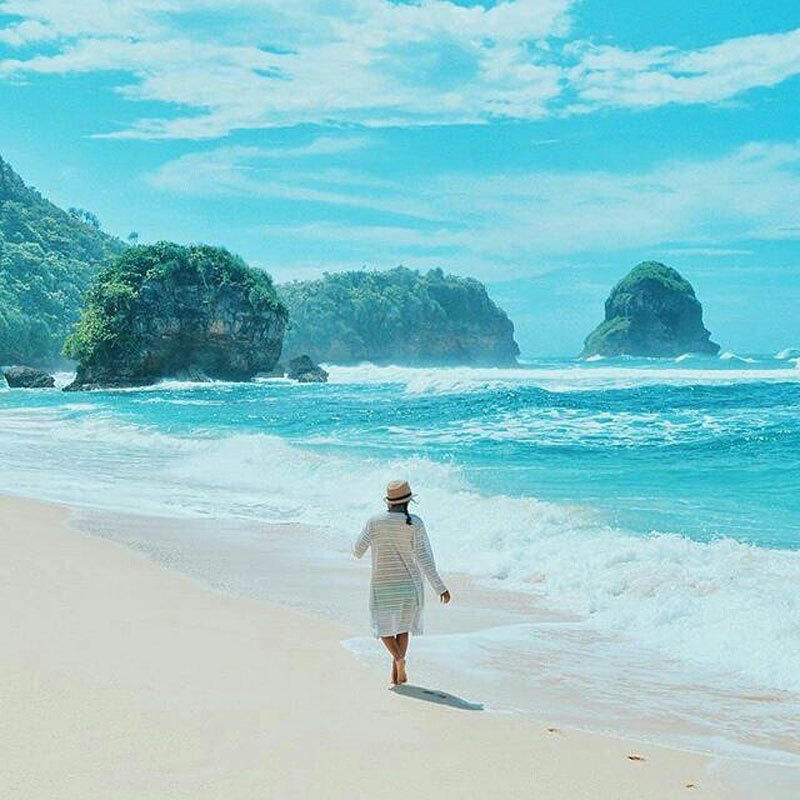 Have you discovered any secret beaches in Malang you’d really like to check out? Let us know in the comments below!